At the end of a Sunday afternoon this man was washing in the Ganges at Shitla Ghat in Varanasi (Benaras). We all do things both awake and asleep which surprise us. A few minutes after sunrise this young man was washing in the Ganges at Shitla Ghat in Varanasi (Benaras). “Children are like wet cement. 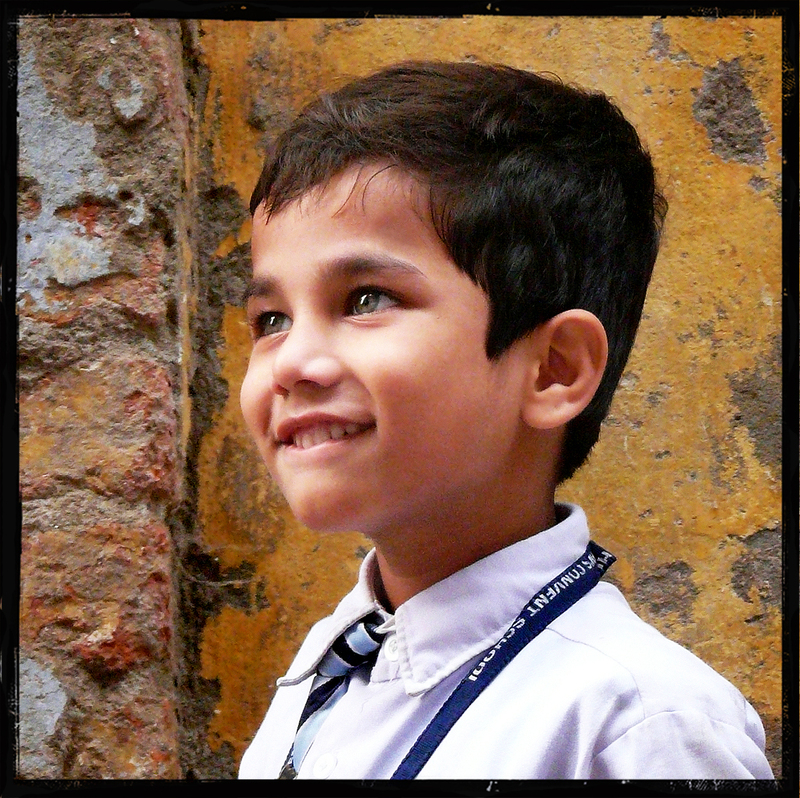 As I was leaving one of our fabric workshop located in Pilikothi which is a Muslim area of Varanasi (Benaras), I met this little boy who was among a group of children coming back from Queens Convent School. The oldest living city in the world often gives an impression of mixing cultures, just like the amazing eye colour of this child which kept my attention. 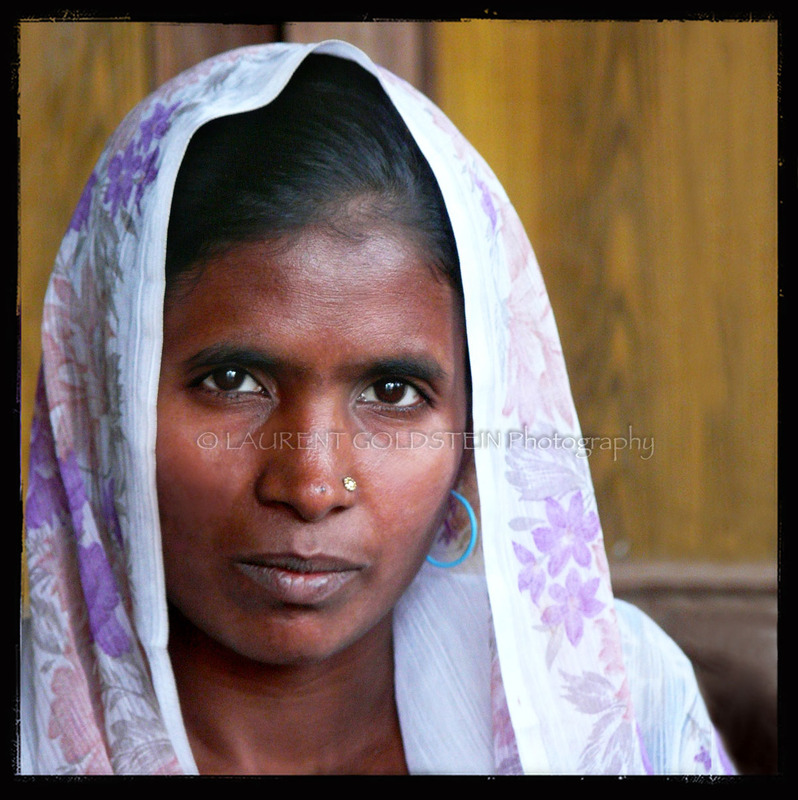 I met this lady in a little village nearby Lucknow, the capital of the Indian state of Uttar Pradesh. Like most of the ladies there she was making traditional Chikan embroidery. Everyone knew I was coming in order to take pictures so they were wearing their best saris, the place was filled up with happiness. This lady was shy however she asked for her portrait and she became proud to see herself on the screen of my camera. 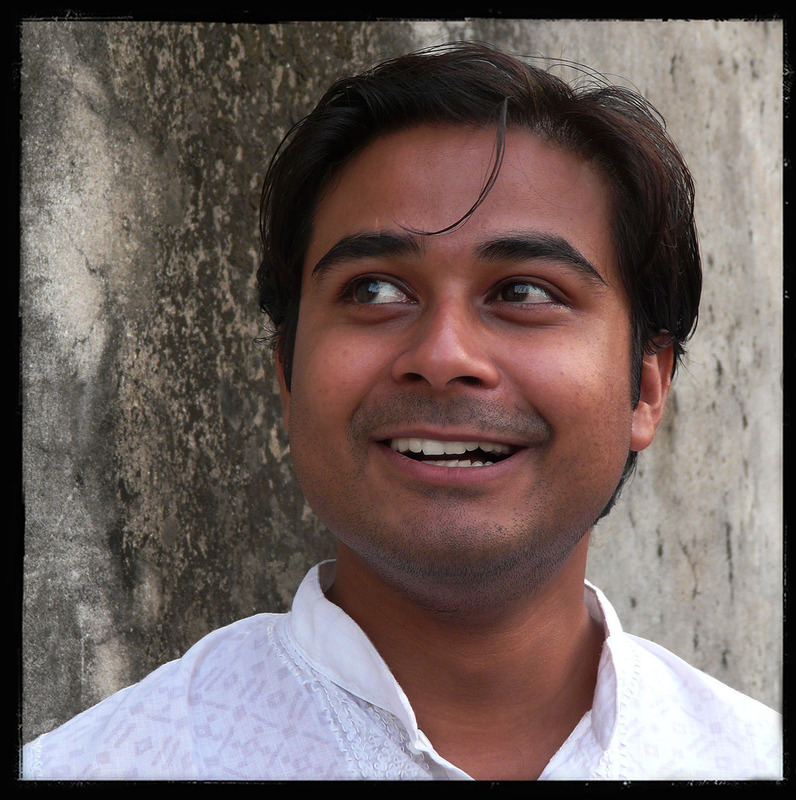 Last afternoon I took several portraits of Abhishek at the upper terrace of our office in Vanarasi (Benaras). I hope that he won’t mind that I have been uploading this one which is really wild and funny. 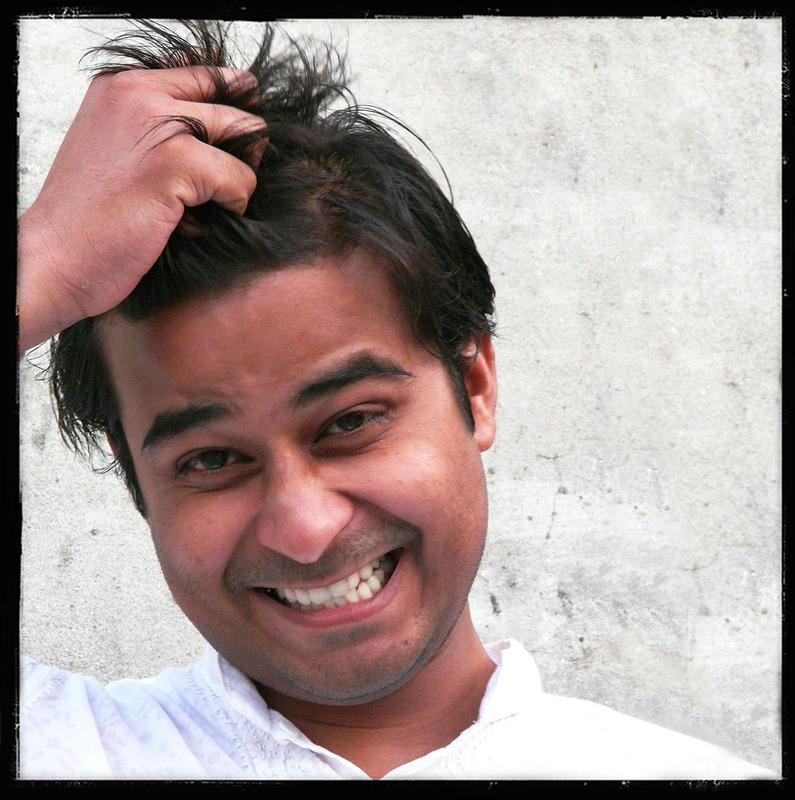 This is another portrait of Abhishek shot last afternoon at the upper terrace of our office in Vanarasi (Benaras).